LifeParticles, sometimes called ki or chi, give rise to all the diverse forms of life. This energy serves as a bridge between a person's inner consciousness and the physical world. As you learn to access the power of LifeParticles, your intentions become reality. 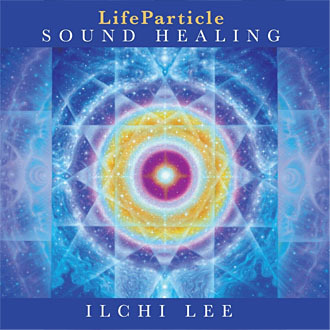 The LifeParticle Sound Healing CD uses sound to amplify the power of LifeParticles and awaken your natural healing abilities. The sounds of the crystal bowls, gongs, flutes, and other instruments, played by Ilchi Lee while in meditation, will generate subtle, yet powerful vibrations through your whole body. These vibrations will calm and purify your mind and emotions. The sounds have the power to activate the body's energy centers and allow LifeParticles to flow powerfully through your body. With consistent practice, your health will improve and negative energies will be released, leaving your body and mind refreshed. Lee is a New York Times bestselling author who has penned 33 books including The Call of Sedona, Healing Chakras, and Brain Wave Vibration. LifeParticle Sound Healing CD will help you awaken your natural healing abilities. The vibrational sounds of crystal bowls and gongs, performed by Ilchi Lee, amplify the power of your energy to transform and heal body, mind, and spirit.